Hard drives seized yesterday at a hosting facility in Kansas City, Mo. Rustock, purveyor of more e-mail spam than any other network in the world, was felled last week by Microsoft and federal law enforcement agents. A lawsuit by Microsoft that was unsealed at the company's request late today triggered several coordinated raids last Wednesday that took down Rustock, a botnet that infected millions of computers with malicious code in order to turn them into a massive spam-sending network. "This botnet is estimated to have approximately a million infected computers operating under its control and has been known to be capable of sending billions of spam mails every day," Richard Boscovich, senior attorney in the Microsoft Digital Crimes Unit, wrote in a blog post today. The Wall Street Journal first reported that it was Microsoft's digital crimes unit, working in concert with U.S. marshals, that raided seven hosting facilities across the country and seized the command-and-control machines that ran the network. Those are the servers that send instructions to the fleet of infected computers to dish out spam messages hawking such items as phony lottery scams and fake and potentially dangerous prescription drugs.The takedown was known internally as Operation b107. (Credit: Microsoft) Shutting down Rustock could put a huge dent in spam worldwide. Tech security giant Symantec estimated last year that Rustock was responsible for 39 percent of the world's spam. Global spam levels dropped 12 percent after Dutch authorities took down a Trojan horse named Bredolab last November. Rustock's demise surprised the cybersecurity community last week, which often works in unison to corral spammers. According to an earlier Journal blog post, spam monitors didn't know why the botnet's activity halted. It was clear at the time that the effort was coordinated and complete. Microsoft's digital crimes unit has long worked with law enforcement to track down and eliminate spammers, botnets, and other malicious code creators. Government authorities rarely have the resources to spend on the investigations, something Microsoft willingly finances since it has a vested interest in keeping people e-mailing. 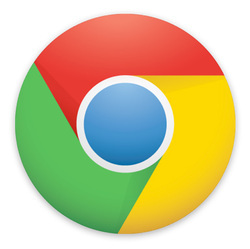 Google gave its browser a new logo yesterday, a design that drops the bubbly 3D look for a flatter, more geometric look. The new design is no surprise: an all-blue version of the new logo showed up for Chromium, the open-source foundation of Chrome, a week ago. After 12 betas, 1 release candidate, and more than 10 months of work, Mozilla has determined that Firefox 4 is ready to join the competing high-wire acts of modernized browsers. The company has announced a release date of March 22. The current Firefox 4 release candidate is available for Windows, Mac, and Linux. Mozilla's Web o' Wonder notifies you at the top of the page if your graphics card drivers are out of date, an essential upgrade to perform to take advantage of hardware-accelerated browsing. (Credit: Screenshot by Seth Rosenblatt/CNET) Firefox 4 was originally projected to arrive around October or November of last year, but was delayed as work on new features and integrating graphics card-powered hardware acceleration took longer than expected. GPU hardware acceleration is the short-term Holy Grail for modern browsers because it allows them to leverage high-powered graphics cards to give the browser an edge in rendering complicated in-site graphics faster. The current stable release of Chrome 10 only offers partial hardware acceleration, while Internet Explorer 9 won't work on Windows XP precisely because of the hardware acceleration hang-up. Internet Explorer 9, released earlier this week, touted a first-day download count of 2.3 million. That's a strong number, although Firefox 3 scored more than 7 million downloads on its first day, around two and a half years ago. Microsoft and Nokia announced a broad mobile phone partnership today that joins two powerful but lagging companies into mutually reliant allies in the mobile phone market. As expected, Nokia plans to use Microsoft's Windows Phone 7 operating system as part of a plan to recover from competitive failings detailed in Nokia Chief Executive Stephen Elop's "burning platform" memo. But it's deeper than just an agreement to install the OS on Nokia's phones. Instead, the companies call it an attempt to build a "third ecosystem," acknowledging that competing with Apple's iOS and Google's Android involves a partnership that must encompass phones, developers, mobile services, partnerships with carriers, and app stores to distribute software. "There are other mobile ecosystems. We will disrupt them. There will be challenges. We will overcome them. Success requires speed. We will be swift," Elop and Microsoft CEO Steve Ballmer said in a boldly worded open letter. "Together, we see the opportunity, and we have the will, the resources and the drive to succeed." The companies will cooperate tightly under an agreement the companies just describe so far as proposed, not final. Under the deal, Windows Phone 7 would become Nokia's "principal" operating system, and Nokia would help Microsoft develop it and ensure a broad range of phones using it are available globally. Nokia will use many Microsoft online services, many of which trail Google rivals, such as Bing for search and maps and AdCenter for advertisements. When it comes to the sales part of the ecosystem, each company brings something to the deal. Microsoft phones will be able to link up with Nokia's agreements for carrier billing--a popular option in parts of the world where credit cards are less common. And Nokia will fold its own app store into the Microsoft Marketplace. Experts view on this new partnership is the decline in popularity of the Nokia OS'. Symbian was considered as one of the most common mobile OS till the introduction of Android. Symbian did changed alot with the latest range of phones from Nokia but still wasn't able to amaze its fans. The growing popularity of Android phones was a great slash on the Nokia phones. Still, Nokia declined to make its phones Android. Instead, it created another OS named MeGo for its advanced N900. MeGo was an android type of OS and had great features but failed to gain popularity. When they knew the symbian wont work anymore, they turned to Windows instead of Android which is also another advanced OS. Though people expected Nokia to be an Android, it is now a member of Windows phones. Now we need to wait till the new Nokia Windows Phones to arrive by the fall of 2011 and the question is: Will it be enough to popularize among the world and to stop the advance of Android phones? Let's wait and find out. IPad 2 to hit the stores! 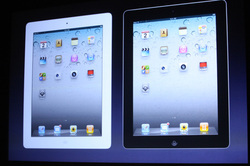 The iPad 2 will also get some new features thanks to the latest release of the operating system, iOS 4.3. This upgrade brings a few new features like AirPlay support for apps that will include photo slideshows and porting audio from apps to other devices. Safari performance will be improved. This upgrade also adds the personal hot-spot feature that was introduced for Verizon iPhone owners. Other major tweaks include a software option to adjust whether the switch on the iPad is used to mute the volume, or lock the screen orientation, functionality Apple had changed after the iPad had been released. The iOS 4.3 software version will be available on March 11, and it supports iPad, iPhone (GSM), and iPod Touch (third and fourth generation). Apple also introduced some new accessories to the iPad 2. The first is an HDMI video-out option that will allow people to port video out of the device and mirror what happens on another screen. Jobs said this was a big request from teachers. It will cost $39 and works with all apps. But considering the release Ipad recently, its too early for IPad 2. Apple fans all over the world never would've thought of the next IPad coming soon after the release of its pre-model. The answer to the question that why Apple made the move a bit too quickly is still rounding on everyone's head. The cause most probably is the release of the Motorola Xoom which is a tablet PC equipped with interesting features and a fast processor which was quite a better opponent for the Apple IPad. Well, the news is really a happy one for all and but, will it be able to beat the Xoom? Let's wait to find out! Crave is the Technology Blog which tracks the latest tech-news from major websites like cnet, guru3d and others. Keep updated with the growing technology through Crave.